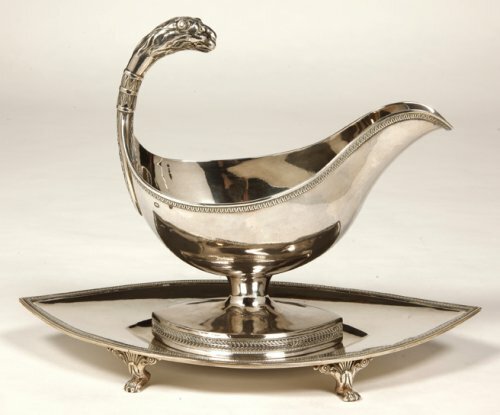 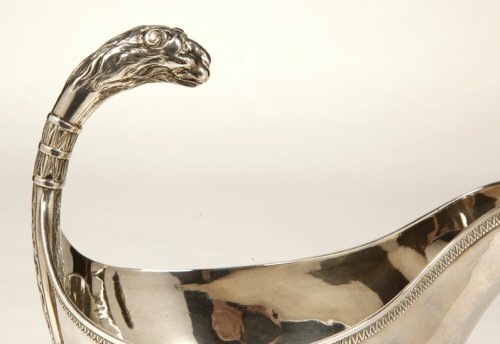 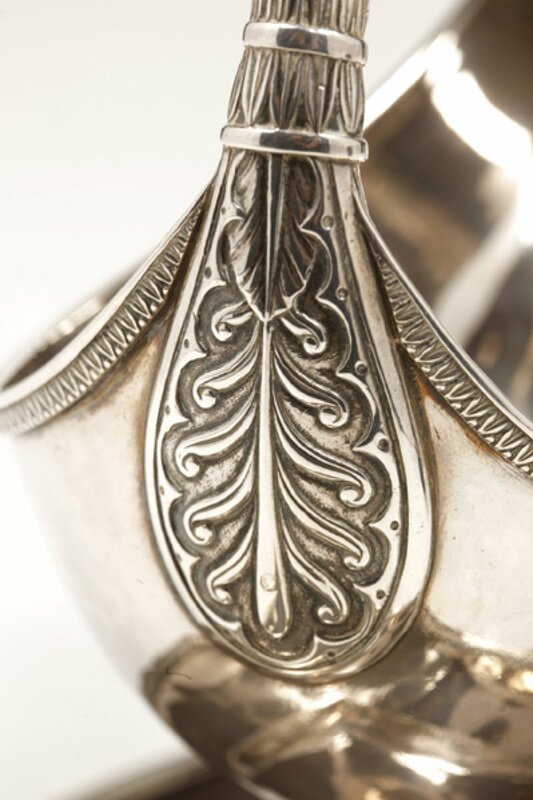 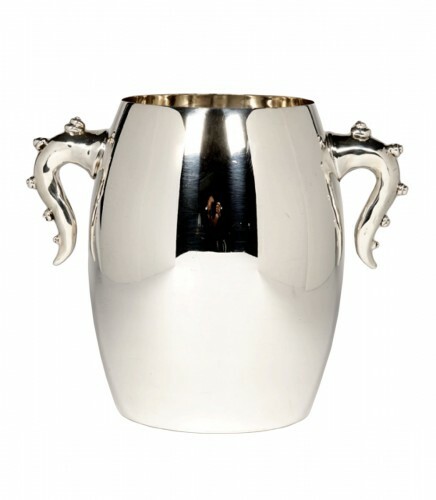 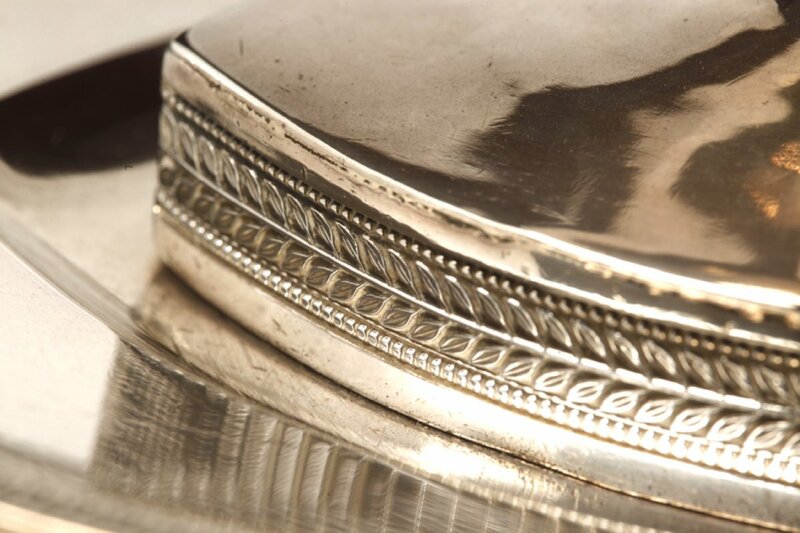 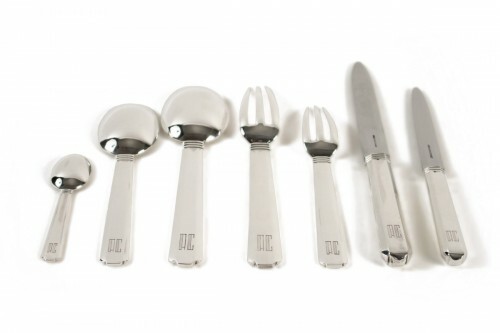 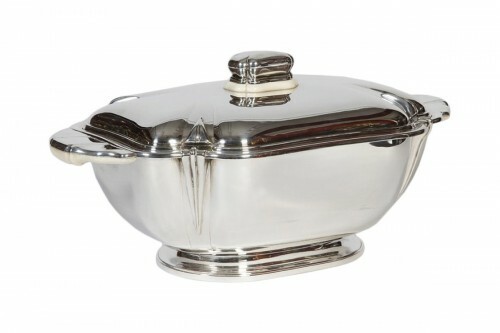 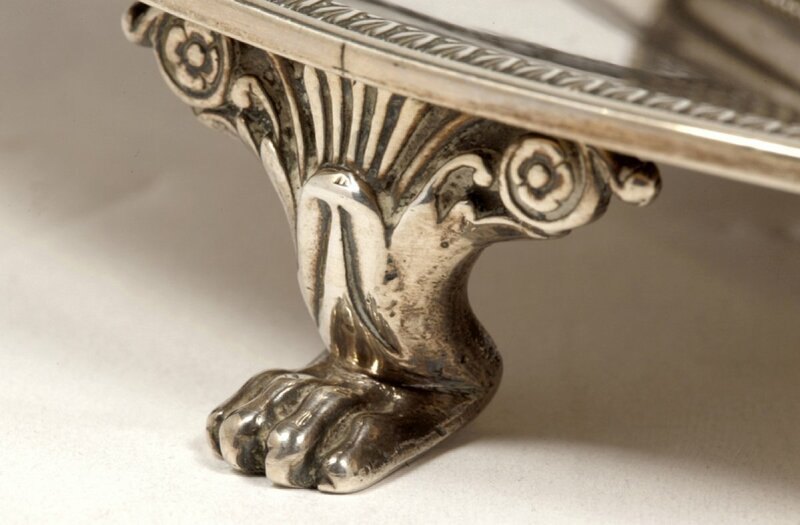 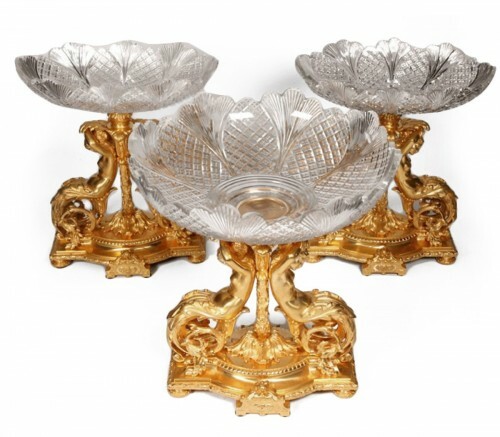 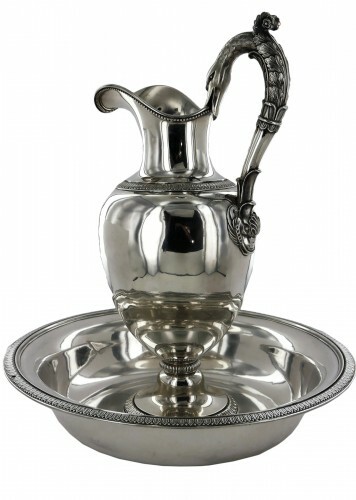 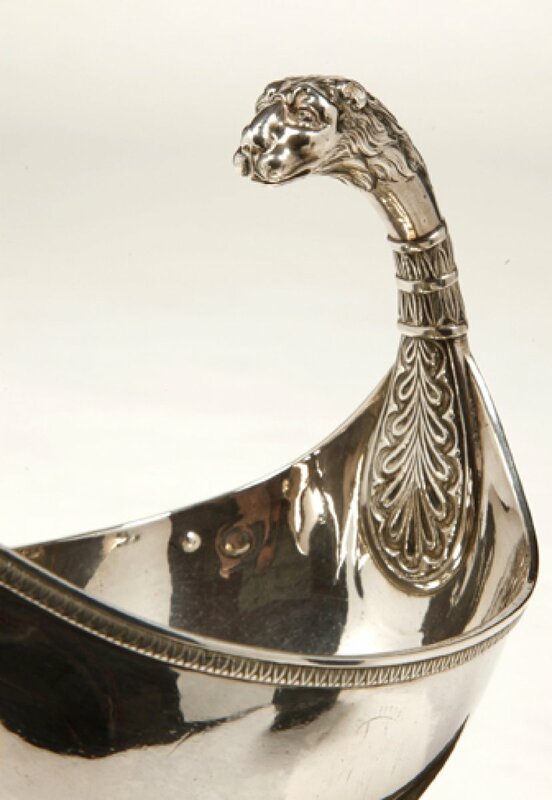 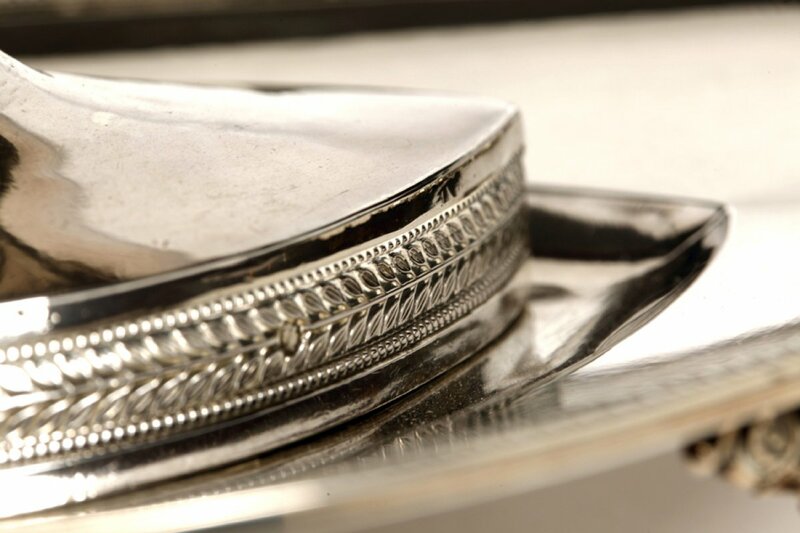 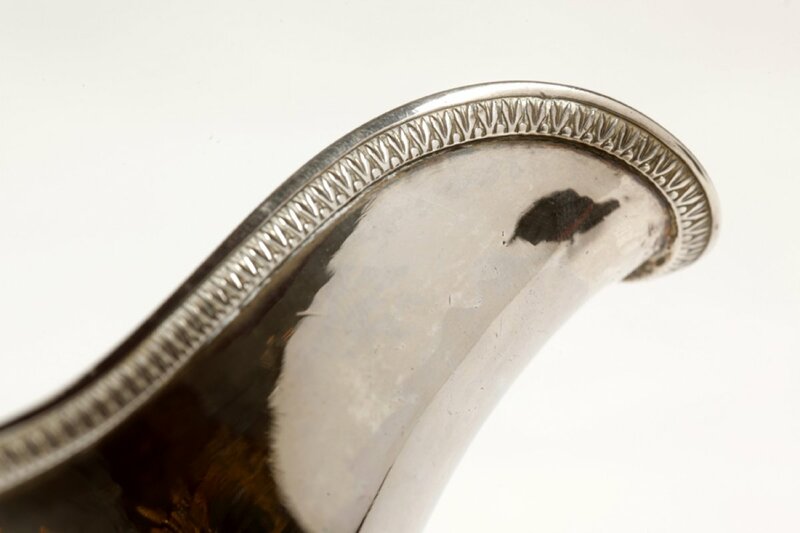 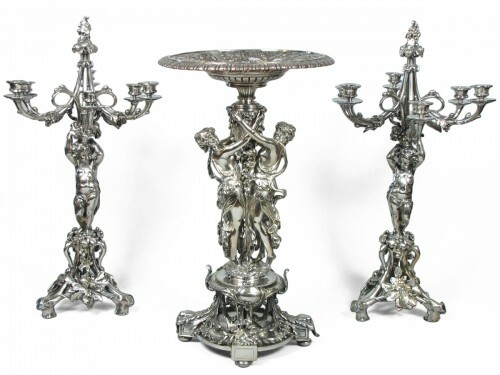 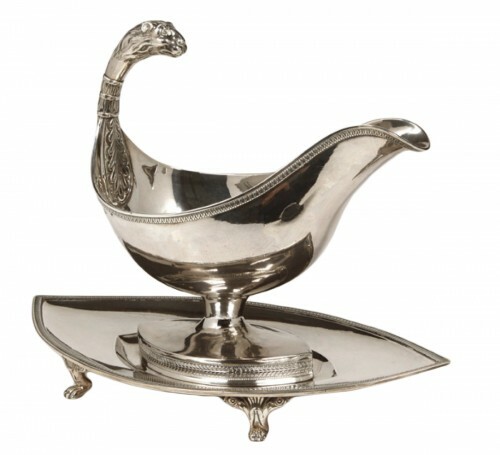 Sauceboat on its silver tray first title with palm leaves frieze decoration. 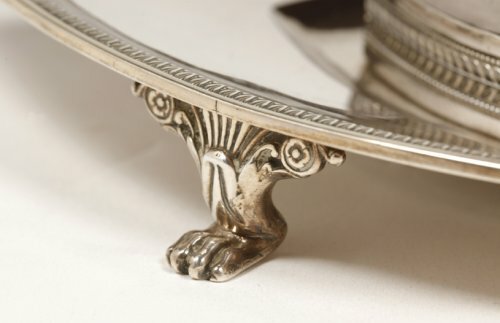 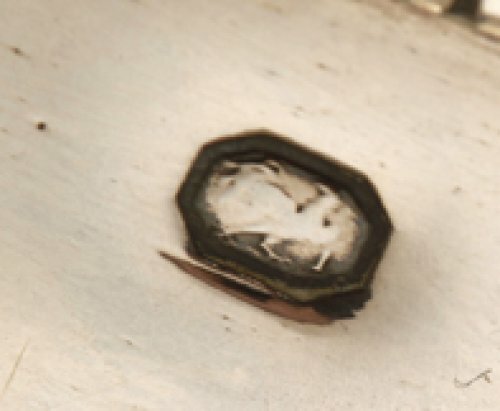 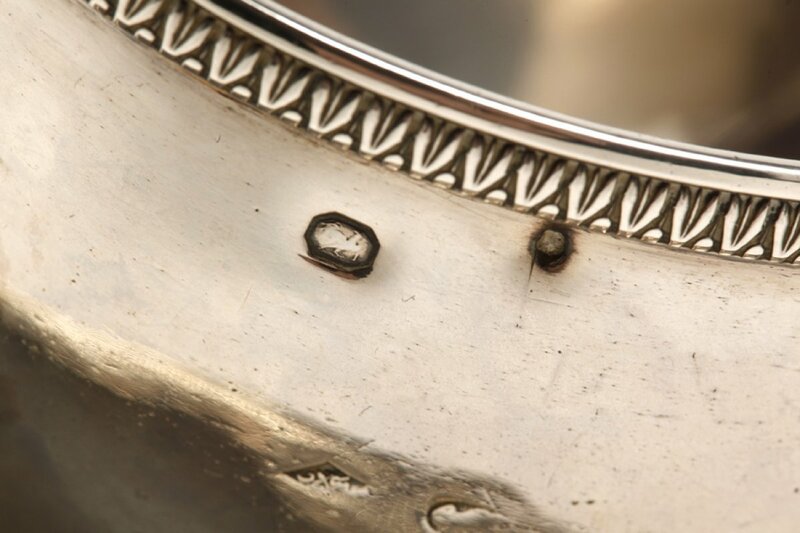 Oval, the plate is connected to the saucer with a central screw. The zoomorphic making sauceboat represents the head of a lioness.